Suitable for Vegetarians and those allergic to seafood. Promotes Flexibility and healthy joints. Halal and Kosher certified. Also approved in USA, Japan and UK. 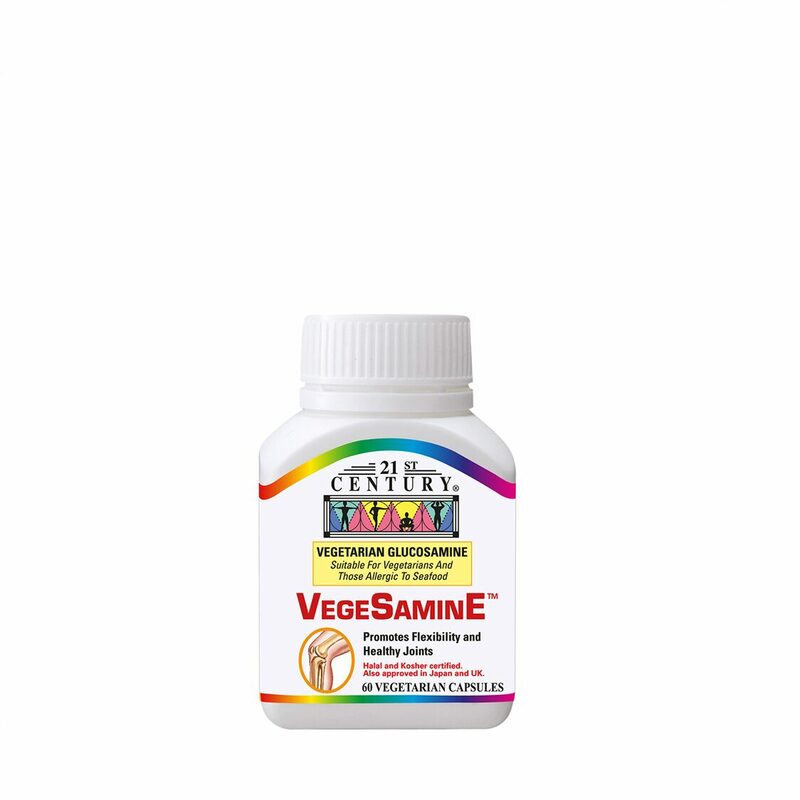 VegeSamine is a non-animal, non - shellfish source of Glucosamine derived from plants, different from all other types of glucosamine which are derived from shellfish shells lile prawn shells and crab shells. Vegesamine therefore also suitable for those with shellfish allergies. Glucosamine is a naturally occurring substance in the body important for healthy joints. It is a key component in the formation, maintenance and repair of cartilage – which are lubricant tissues that hold joints together without friction. Clinical studies have shown that glucosamine helps reduce discomfort associated with joint problems, stimulate cartilage cell-growth and improve joint mobility.